After postponing the 3rd annual Kriekfest on its original date of July 28th when temperatures hit the upper 90s, a new rescheduled date has been revealed. The new date is Saturday, October 6th from 11:00am-7:00pm at Hood River’s Waterfront Park. 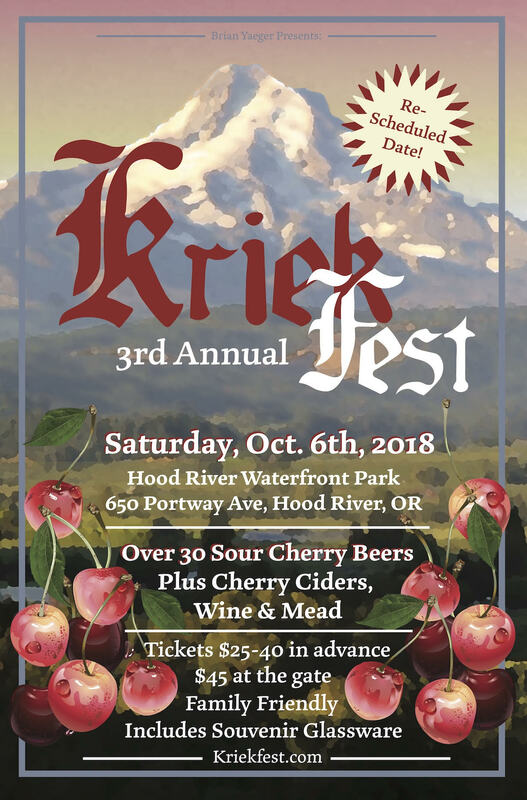 Held along the banks of the scenic Columbia River, the 2018 Kriekfest will feature beers from around the globe. Expect beers from many well-known breweries from Belgium such as Brasserie Cantillon and Brouwerij Boon. 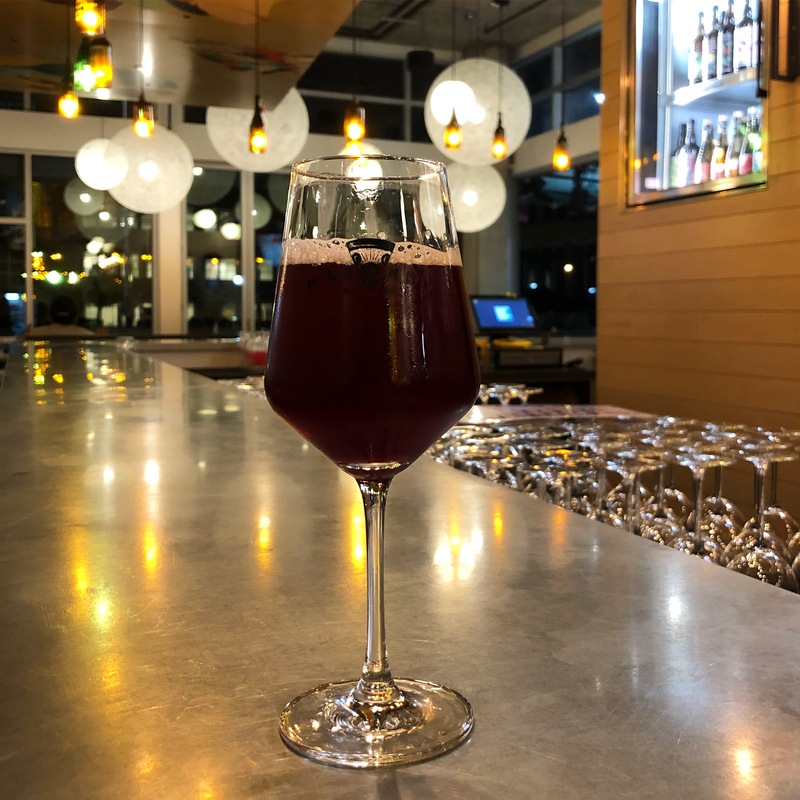 Previewing Nøgne Ø Kriek of Telemark that will be pouring at Kriekfest 2018 in Hood River, Oregon on October 6th. Yaeger was also able to recruit a few new festival breweries for this year’s event. These breweries include Ale Apothecary and Wolf Tree, both of which created sour cherry beers specifically for the event. Also a few rare out of state breweries will be joining this year’s event. Scratch Brewing from Southern Illinois, Odell Brewing from Colorado, and The Lost Abbey from California are also new to the festival. 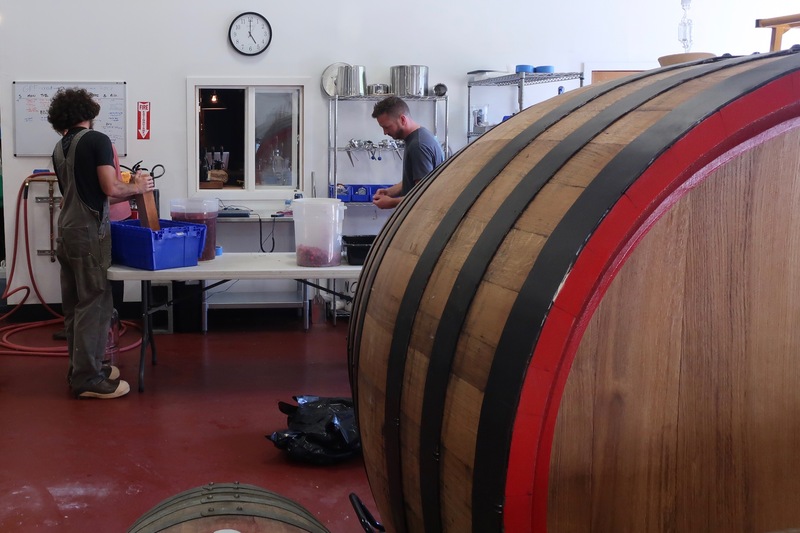 Since rescheduling the date, the festival has added Belgium’s famed 3 Fonteinen and the Oregon debut of Garden Path from Burlington, Washington. Here’s a peak at the breweries that will be pouring at the 3rd annual Kriekfest on October 6th. Garden Path working with freshly harvested cherries at the brewery on July 5, 2018. In addition to all of these tart cherry beers organizers have finally realized that a nice crisp palate cleanser is needed at a festival like this. Therefore pFriem Family Brewers Pilsner will also be served alongside its Oude Kriek and new Flanders Red Kriek. Plus there will be food available from Urban German Grill. Kriekfest 2018 tickets are currently on sale and are available at Merctickets.com/go/Kriekfest. If you purchased tickets for the original date, these will be honored. Advanced tickets include a commemorative-stemmed glass and cost $40.00 each and include 25 drink tickets; or $25.00 with five drink tickets. Gate admission, if available, is $45.00 and comes with a glass and 18 drink tickets. 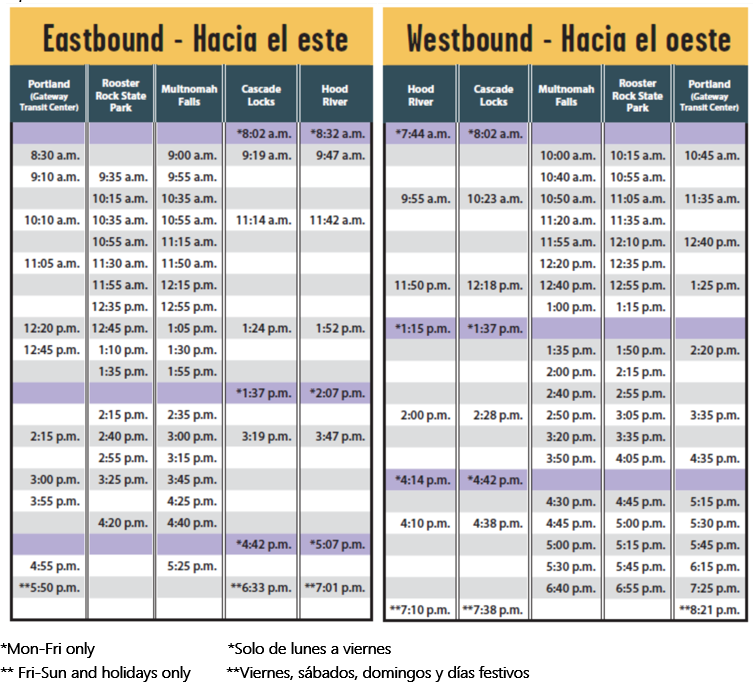 Minors and designated drivers receive free admission. For more information, visit Kriekfest.com and follow updates social media @Kriekfest.